A few days ago, something happened. Something that I find kind of odd. Initiation! Initiation for becoming a man. What is so odd about it is that, well, it doesn’t make sense. Either way you are going to become a man, so why initiate? It is just part of growing up. Now I know what a brahmin initiation is. 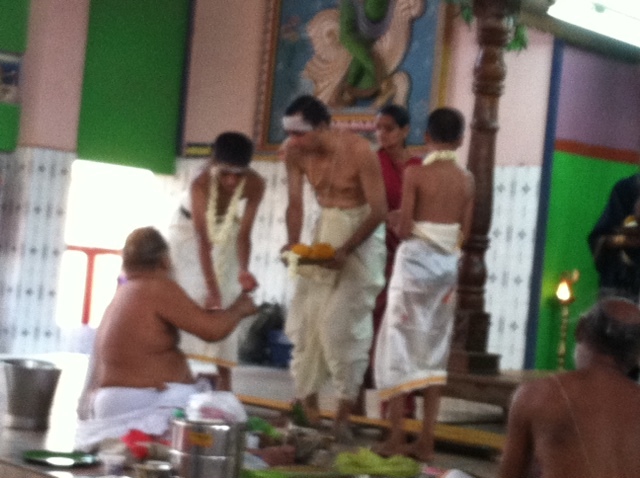 It is called the poonal or thread ceremony. Two of my cousins were going through it. So a ton of family came to watch and bless. Part of the family includes me. I was kind of interested in it. I wanted to know what exactly it was. And now I know. The first day we went, we dressed up and met up with my family. Nothing really happened. They were doing some prayers to do with bathing. Yeah, I don’t get it either. And so they were blessing a pot of water to make it divine. I am not sure how exactly it works. I was really, really hot towards when they started the ceremony. It was kind of hard to focus. We also got to eat food. On the first day, I didn’t eat much. After the ceremony, my grandmother was going to spend the night there while we went home. And so we did. Nothing too fun or boring happened on our way back. It was the second day when things started to happen. We went there. I was still extremely hot. We found my grandmother, we sat down and got ready for the rest of the process. They got the sacred thread on. The meaning behind the sacred thread is pretty cool. It has three strands. One is supposed to honor one’s teacher. The second strand is to honor one’s parent and ancestors. The third strand is supposed to honor sages and scholars. They got taught a secret mantra. And then they were supposed to beg for rice. Based on what my mother told me and I understand, brahmins were traditionally not supposed to work for money or make money through jobs or businesses. They were supposed to live off of whatever people gave them. So basically begging. The thing that they were supposed to do is to pray for the world. And teach. I thought it was kind of stupid that you can’t have a business or job on the side. This is why my mom is not doing the ceremony for me. Because beggars cannot be choosers. And I like to choose a lot of things. But I guess begging means you are humble and not arrogant or selfish. I have a hard time understanding it though. I still need to think more about it. After that, we ate some yummy food off of banana leaf. While we waited for food, we decided to go out and get a drink. We managed to find some orange soda once we walked a bit outside. But it wasn’t actually cold. It was the best we could get so we managed with it. 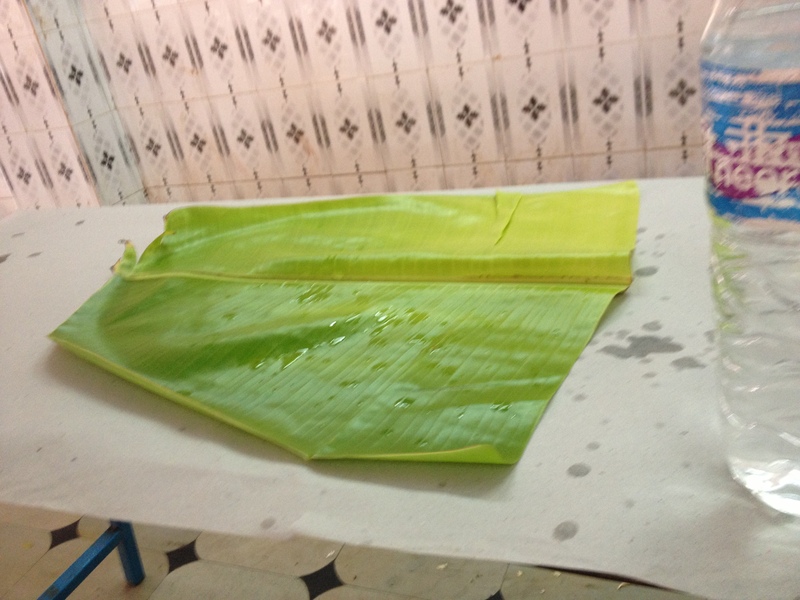 After going back, they laid down some disposable tablecloth and banana leaves. 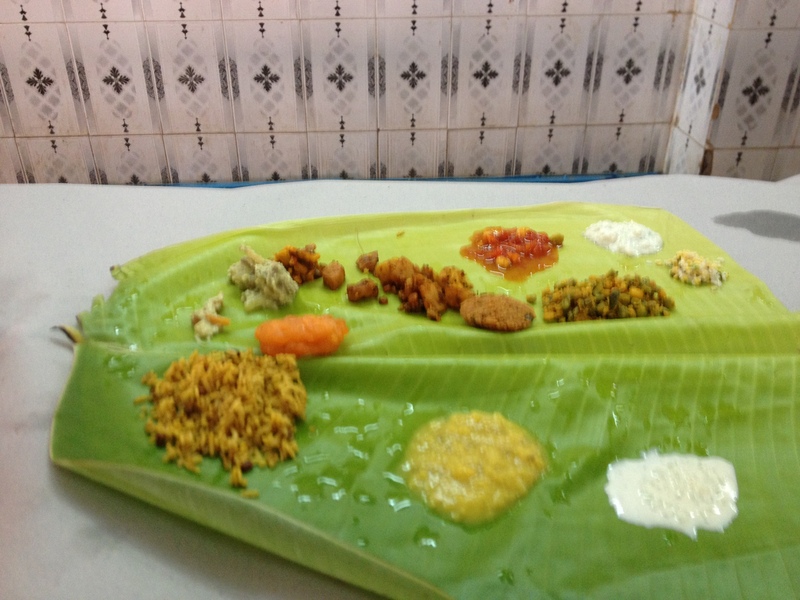 The banana leaves basically act as plates. We had to first sprinkle water to wash it first. Each person is served different kinds of food on the leaf. I just ate some rice and ghee. After that, I sat down and decided to sit with my cousins for a while. My mom got me playing with them. There were not too many other fun things to do. We ran all over the place. I had some discussions with stuff unrelated to this before I started running around. Just about the normal nerdy anime and technology stuff. I managed to somehow get two pieces of candy from my cousin. I am quite thankful. Those two pieces were chewy and satisfying. After that we left with my grandmother and went back home. I would say it was cool. But I don’t think I am going to go through with the process. Because, for one, it didn’t look too fun. And more importantly, you have to believe in god and religion to go through that. And three, it is only done for boys and so it is a very sexist practice. So that’s that. But I would like to come up with my own way of initiation. 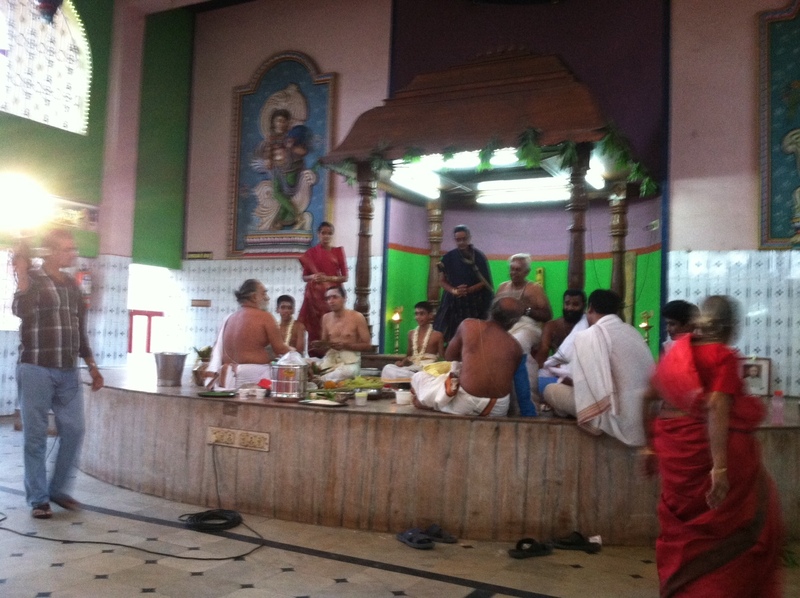 Viyan – I have never thought of the poonal ceremony too much before to tell you the truth. You made me think. cheers buddy.